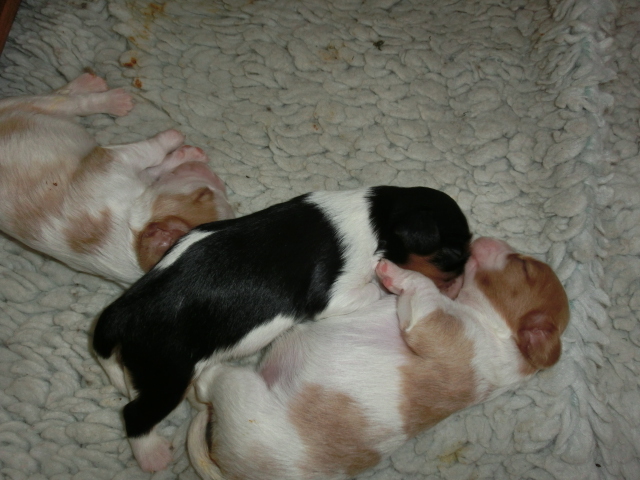 On 23th of April Trootlicks Donar Dexter and Galatea Golden Age became the proud parents of three beautiful puppies. 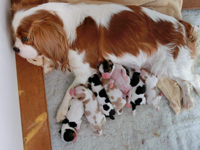 All my puppies are born and raised in the midst of my home, with all the usual comings and goings, and household noises being part of their life right from the beginning – socialisation as babies is a vital start to a happy well adjusted companion for the future! 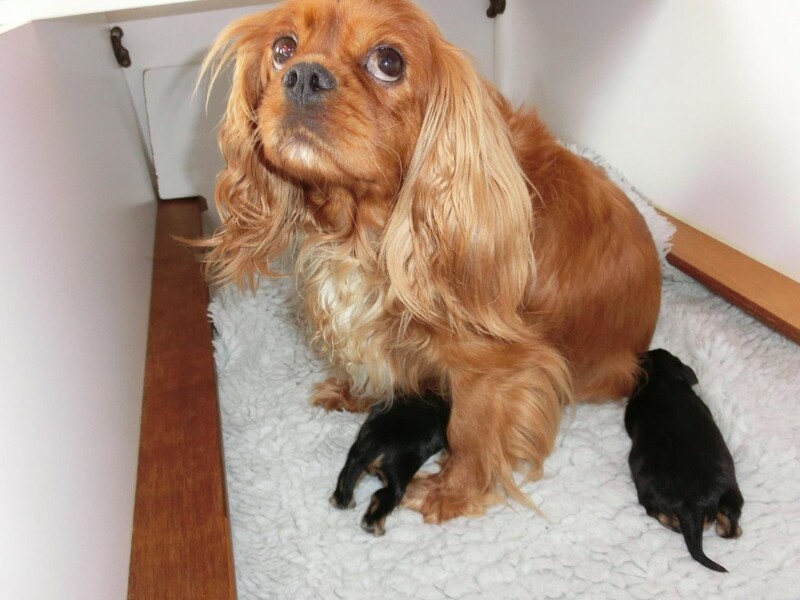 I welcome enquiry’s from genuine Cavalier lovers – NO dealers or pet shops!!! – who can provide a suitable loving home, whether it be for a show or a pet puppy. Sometimes eldery dogs are looking for nice company. Trusties It’s Now Or Never heeft 25-07-2016 2 black and tan puppen gekregen, de reu heet Salian Salique en het teefje Sensitive Samantha. Vader van deze tweeling is Royal Colours Newton. 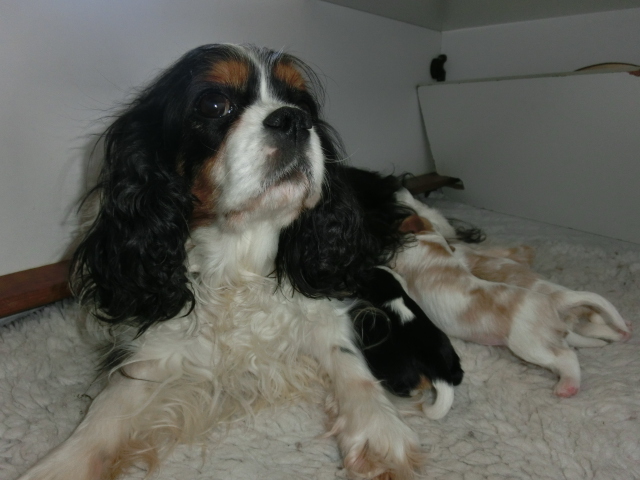 09-09-2014, Kinvaar Wishful Thinking and Trusties Calamity Jane became the proud parents of three beautiful puppies, 2 blenheim males and 1 blenheim female. Veronica got 2 puppies on 23th februari 2012. Father is Sandbrea Bolt from the Blue. Pandora gave us 6 puppies on friday 17th of june. 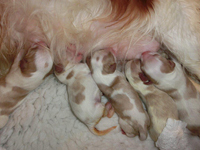 1 tri-colour male, 2 blenheim females and 3 tri-colour females. 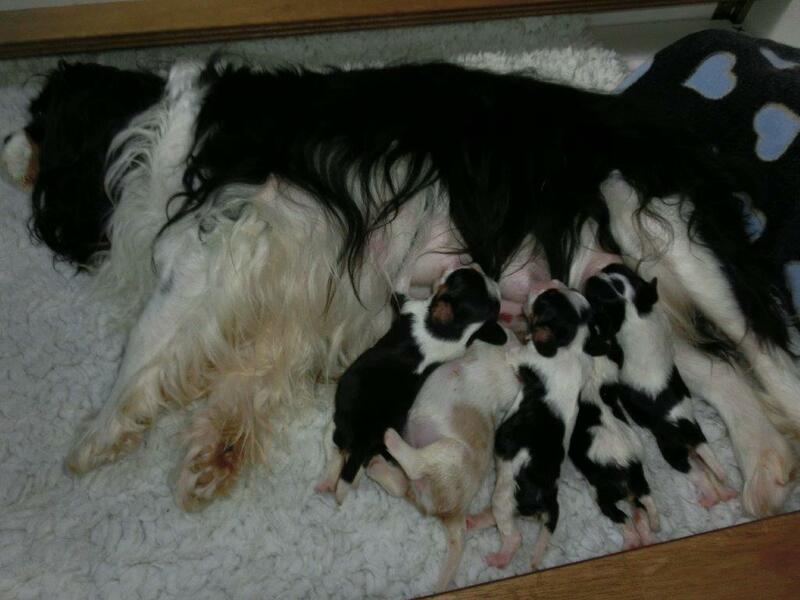 Fergy got her puppies just before newyears. On december 2nd Mercia gave birth to 3 puppies after Zingaro.